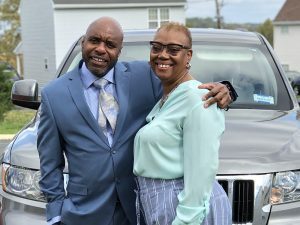 WASHINGTON (RNS) — Deacon Darryl and Deaconess Brenda Musgrove are seeing both sides of the government shutdown — on the job and off. He is working without pay for the Department of Justice. She’s out of work from her contracting officer position with the Department of Homeland Security. 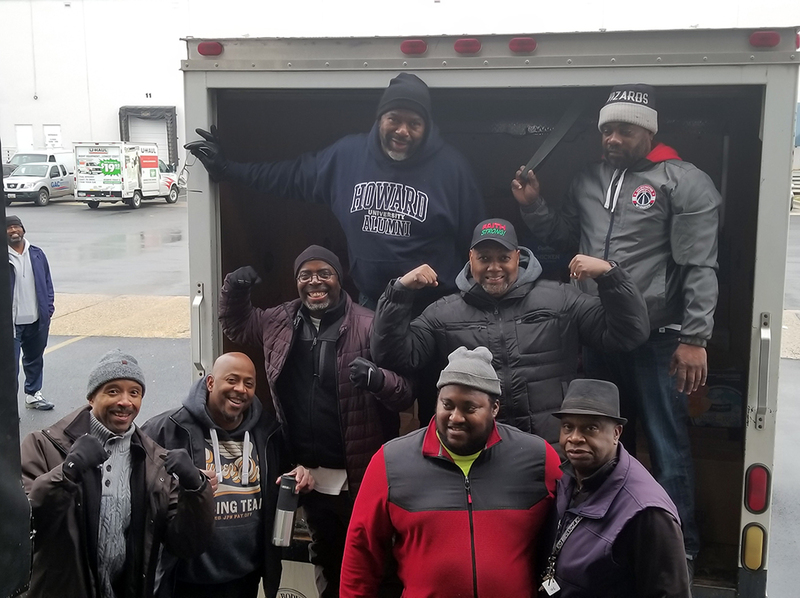 The couple are members of Mount Moriah Baptist Church, which gave out bags of groceries in partnership with Washington National Cathedral on Saturday (Jan. 19). But before they left their church, they took a bag for themselves. They found the donated chicken, macaroni and cheese, fruit and eggs provided several meals for their family. “It was interesting just to see so many people come through with the same stories and the same situation that I’m dealing with, but it was humbling to be able to help others,” she said. The Musgroves are two of the hundreds of thousands of furloughed federal workers who are relying on savings after missing one paycheck and expecting to miss another Friday. President Trump announced Friday that he had reached a deal with Democrats to reopen the government for three weeks. As the partial government shutdown has lasted more than a month, houses of worship are opening their doors to help, offering supplies, prayer, and listening ears as members of their congregations and their community grapple with mounting bills, frustrations and needs. In mid-January faith leaders from the Washington region sent an open letter to President Trump and congressional leaders decrying the shutdown. Several reiterated their concerns at a news conference outside the United Methodist Building that faces the U.S. Capitol. As clergy wait for action on the part of the nation’s political leaders, they are moving ahead to do what they can to help. Houses of worship also have begun using their own financial resources to help those with dwindling ones. 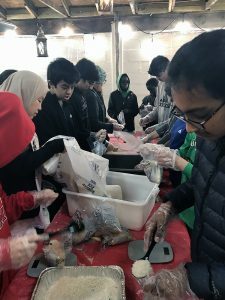 The Islamic Community Center of Potomac, in suburban Maryland, has spent $4,000 on assistance for government workers who haven’t been paid in weeks; it also collected about $2,000 worth of in-kind donations. The center has waived tuition payments for furloughed workers for its Sunday school programs where their children learn Arabic, the Quran and Islamic studies. And it recently donated 80 pounds of lentils and quinoa to a local food bank. 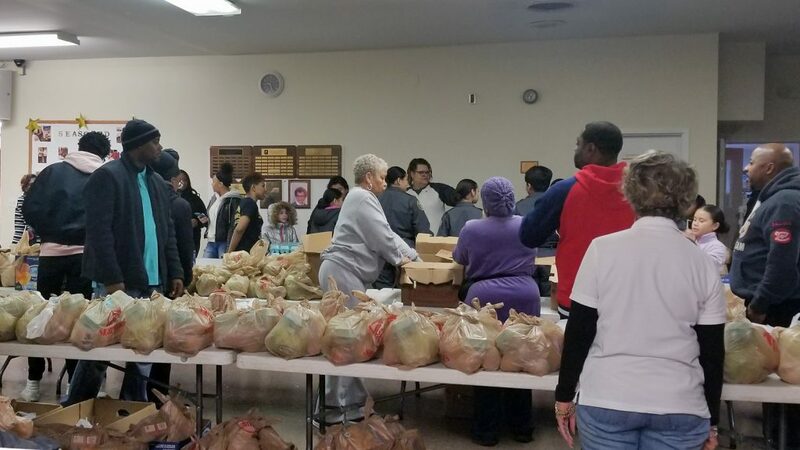 “There’s definitely people going to the food bank for food during this difficult time,” said Dilshad Fakroddin, a spokeswoman for the center and program manager of its hunger van, of displaced workers. The Rev. Glenna Huber, who recited the video prayer about the shutdown at Church of the Epiphany, said her church, located blocks from several closed federal buildings, continues to offer a midday worship service, though attendance is down. 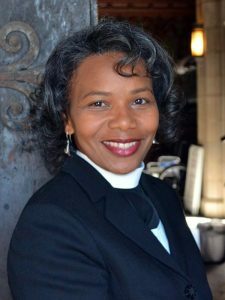 She’s particularly concerned about members of her “multi-socioeconomic” and multicultural congregation, about 75 percent of whom are currently or formerly homeless. “A lot of our parishioners are in subsidized housing, and so they are dependent on those federal resources to maintain the roof over their head,” said Huber. 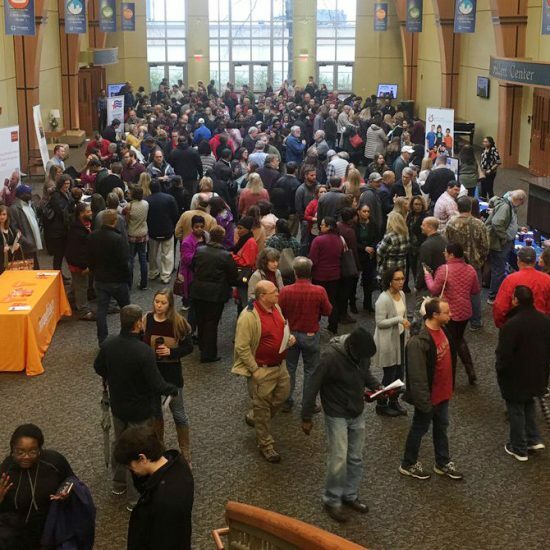 She is concerned about rapidly approaching deadlines when Housing and Urban Development funding could run out for some of the 200 people who usually attend on Sundays. “We may have more people who’ve just recently been housed find themselves in a bind,” she said. 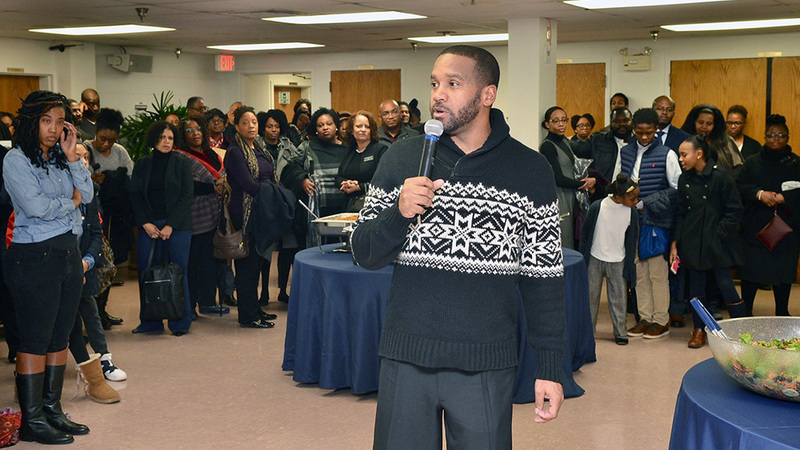 Alfred Street Baptist Church, a black megachurch in Alexandria, Va., followed its Saturday service with a reception for affected workers. While almost 400 people ate and prayed at the reception, less than half took the church up on its offer of gift cards to grocery stores. “They said that they didn’t need it and they didn’t want to take cards from families that really did,” said the Rev. Howard-John Wesley, the church’s senior pastor, of some of his members. He estimates that 40 to 50 percent of the congregation is directly or indirectly affected by the shutdown, and the church has spent about $100,000 from its “poor saints offering” — a special monthly collection — to help people make rent and mortgage payments or pay utility bills. Wesley had already been preaching on sacrifice in January. Many in the congregation committed to fasting for three weeks and donating money from nonessential things they were giving up. For Wesley, it was a daily three-dollar cup of coffee. 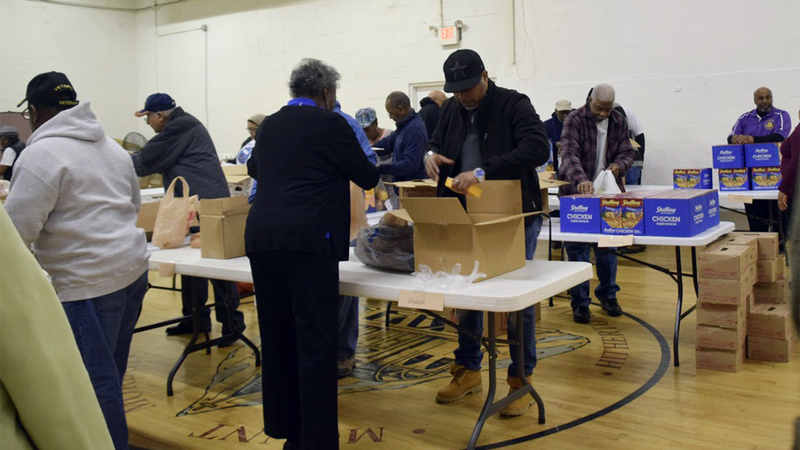 Washington National Cathedral has used donations to its “poor boxes” to help pay $8,800 for the 400 food bags it distributed among four churches in Virginia, Washington and Maryland, said Kevin Eckstrom, the cathedral’s chief communications officer. Those groceries helped federal employees and contractors. Pastor Henry Davis of First Baptist Church of Highland Park in Landover, Md., said people were standing outside his church for two to three hours before the distribution started for members of his congregation and the surrounding community. Davis, whose predominantly black church has waived tuition at its church school for children of furloughed parents and helped others fill their gas tanks, said he’s hearing from government contractors and Uber and Lyft drivers who are also suffering because of the shutdown. “All of them, additionally, are talking about the hurt that they’re feeling economically, and then they’re sharing how they will not be able to recoup their losses,” said Davis. He estimates about a quarter of his church’s 3,500 members have been furloughed. Jasmine Dixon, a former member of Community of Hope African Methodist Episcopal Church in Temple Hills, Md., attended a Monday town hall meeting at the church and shared her difficulties in making ends meet. Expenses for her household of four include a $250 weekly daycare payment for her two-month-old daughter. She said the outpouring of help she received — gift cards and cash — impressed her so much she plans to rejoin. 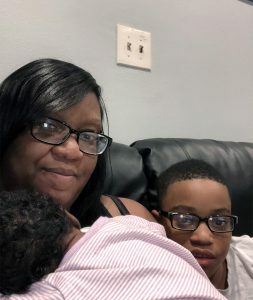 “I was able to pay my electric bill and my mother’s electric bill — she’s furloughed as well,” said Dixon, who is partially exempt and is required to work four hours a day without pay for the Food and Drug Administration. Part of her job as an administrative officer is to process payroll for those who are getting paid. At the town hall, when the next woman shared her story about needing medication, Dixon wanted to help her as well. “I turned around and gave her some of the money that was given to me to help her,” she said. Even as congregations make plans to give out more groceries and gift cards as the shutdown appears to be continuing, people of a variety of faiths say they’re also turning to prayer. Darryl Musgrove, the deacon at the church in Washington, rose early last week for the church’s 6 a.m. prayer conference call. It was his turn to lead the petitions.